Some Things (Jesus!) Come Before Other Things! If you’ve ever felt puzzled because you do not understand the Scriptures correctly, perhaps much of that confusion can be cleared up after listening to this Gospel message. In “Some Things (Jesus!) Come Before Other things”, understand better the “Foundation” of scripture in order to get the fuller meaning of things and topics built on that Foundation! In this message Pastor Timothy Brassell of New Life Baltimore takes you to The Word, Jesus, and through His written word teaches you how to read, hear and understand all of scripture more accurately. This message especially helps you understand the three movements in scripture that will help you stop pitting one scripture against another. It will also help clarify some of the apparent contradictions you see in the bible and hear in sermons. Check it out and experience the eye-opening transformation that happens when you’re truly able to understand the biblical word of God in Light of THE Word, Jesus! 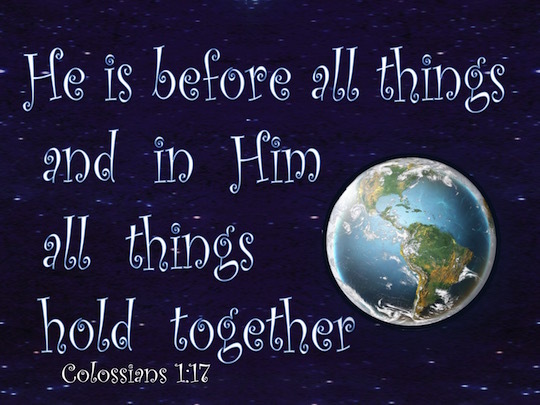 Truly Jesus “is before all things, and in Him all things hold together” even bible reading!